of the Cedar Women’s Society, Elder of the Mide Lodge. With these credentials, I realized that Virginia holds a lot of wisdom, guidance, and teachings. wondered the meaning behind it (though I had my own ideas). aspects of both ways. Both know one God. the sacred herbs or all of them together. bad or negative and bring on thoughts that are good or positive. also used to waft the smoke to ward away sickness. we go to the Spirit World and then the cycle continues. Creator. When we pray, we get answers, then we are nurtured and we grow spiritually. the smoke about. 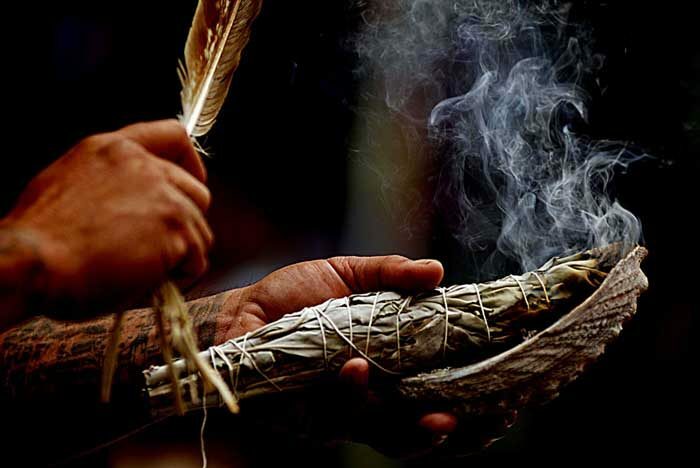 Smudge any medicine tool you will be using such as pipe, jewelry, outfit, etc. and cleanse fairly regularly in this day and age with so much sickness and bad feelings around. Heritage by Basil Johnson or ask an elder and offer tobacco.